Fashion: Blazer/Jacket Style Inspo From Laura Ikeji For #LFDW2017! Blazers, kimono, jackets or bombers and everything else that rests on one’s shoulders are one of the main outfits that rule the fashion scene especially fashion shows. Give me an oversized jacket or a trench coat any day and I’ll literally be your best friend! 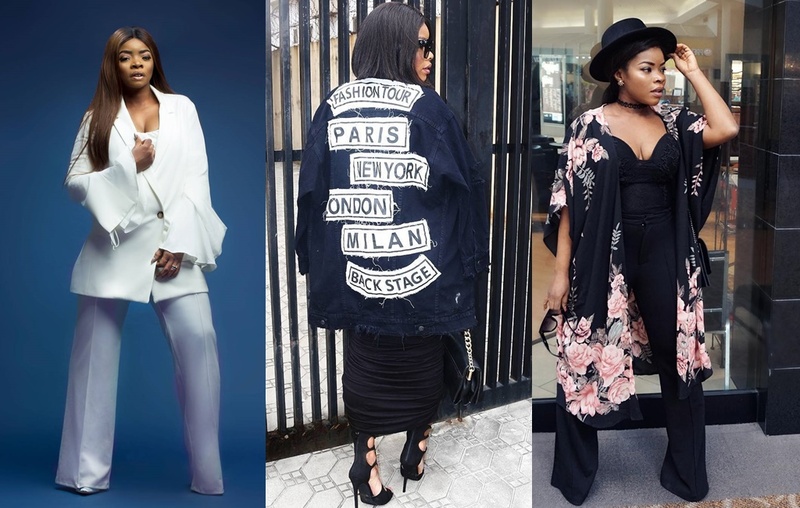 Laura Ikeji has been on the “low-key” lane since childbirth but her style isn’t but more conspicuous as ever. Since Laura is big on streetstyle and has an eye for it ( she runs a store where you can find streetstyle ensembles), I decided to stalk her one more time before I finally shut up about LFDW commencement. Yes ask for floral kimono, it’s one piece I’d pick over any basic tee, thanks Laura! A white blazer is one way to spice up your outfit, white is always a classic! Jackets with buttons give a retro feel. It’s classy as well and the colour is just perfect for any one. Flare jackets are becoming an all-time fave! Pair this up with any basic outfit and you go peng! #LFDW2017 – Our Fave Instagram Snaps From The LFDW Day 1!